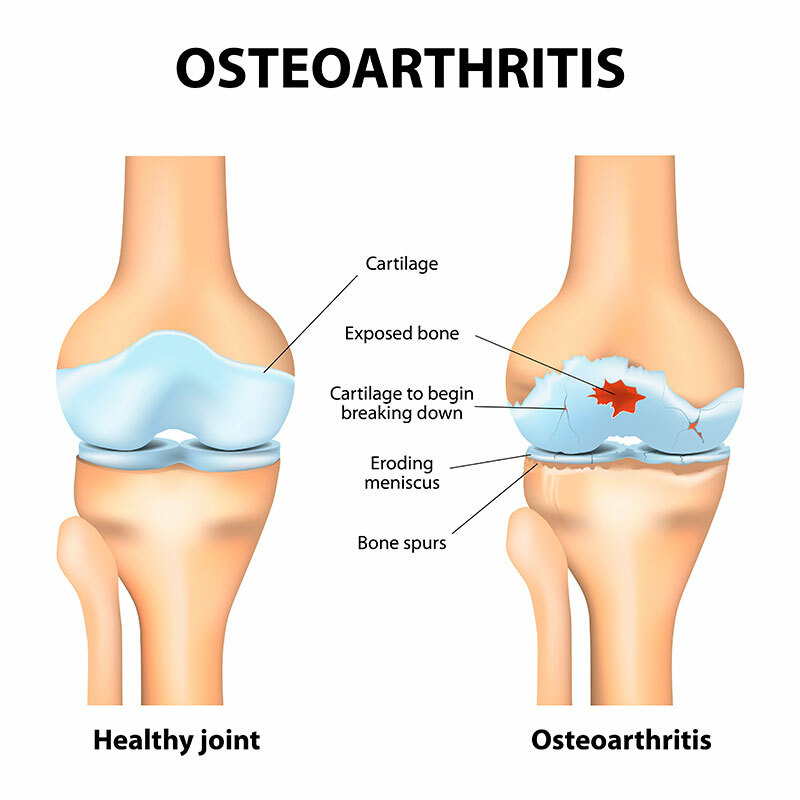 Osteoarthritis is a chronic condition affecting the joints in various parts of the body. The condition affects the cartilage, cushioning the joint bones gradually losing its elasticity. With torned cartilage the bones begin to rub against each other causing stiffness, inflammation, and loss of movement. At Ayur Bethaniya Ayurveda Hospital, we provide a combination of Ayurvedic therapies that are administered by our Team of experienced Ayurvedic Physicians and trained therapists to treat osteo arthritis. We tailor the treatment plan to prevent further deterioration of the affected joint, reduce the symptoms associated with the condition and rejuvenate the body using a combination of ayurvedic treatment techniques. Osteoarthritis is degenerative disorder and progresses with ageing with severe symptoms. We understand the situation and advise patients on the need for having joint strengthening formula and using the oils on their joints regularly for better results and to reduce the risk. A complete detox treatment plan is suggested for those patients who are badly affected by the condition with severe symptoms. A full course of detox and strengthening therapies performed once a year prevents further damage to the joint tissues and to keep them strong and rejuvenated. From our past experience, we ensure that patients who our protocol are able to lead a much better quality of life as the continuous treatment method prevents further deterioration of their condition even with ageing. We offer the whole range of treatment at our clinics with integrated Physiotherapy and Yoga as part of our therapeutic approach. Increase in pain while walking and climbing up stairs. Ayurveda offers numerous techniques of herbal treatments methods for the cure of Osteoarthritis. The safe and effective treatment alternatives for osteo-arthritis decrease inflammation, swelling and pain by interfering with the production of inflammatory chemicals in the body. Ayurvedic treatment of Joint Pain (Osteoarthritis) rejuvenates the damaged tissues and cartilages of the affected joints. Vata-pacifying medications are suggested for lubrication and strengthening of joints. We tailor customized treatment plan by understanding the root cause of the condition along with patient health condition. Identifying the root cause of the conditions helps to stage the line of treatment through customized combination of the four important aspects: customized medicine, panchakarma therapy, dietary advice, lifestyle modifications. At Ayur Bethaniya Ayurveda Hospital, we provide safe and effective herbal treatment plans that are customized as per individual patient condition to treat and recover from mild to severe osteoarthritis condition. Along with the best medical infrastructure and medical utilities, we provide services from expert doctors and staffs for all round care and support to the patients. To know more about osteoarthritis disease treatment and treatment cost, book an appointment now.